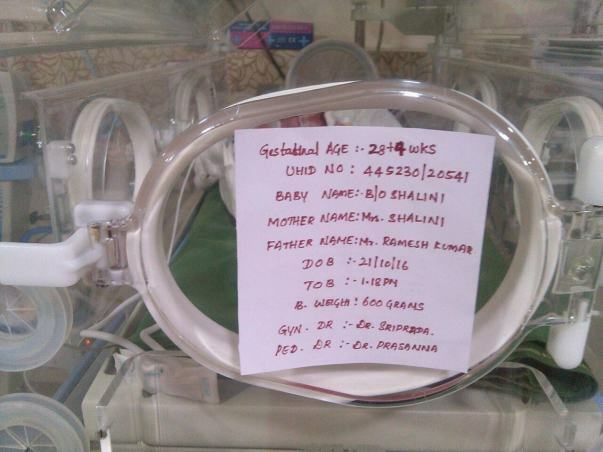 Shalinis child was born on 21st October 2016. 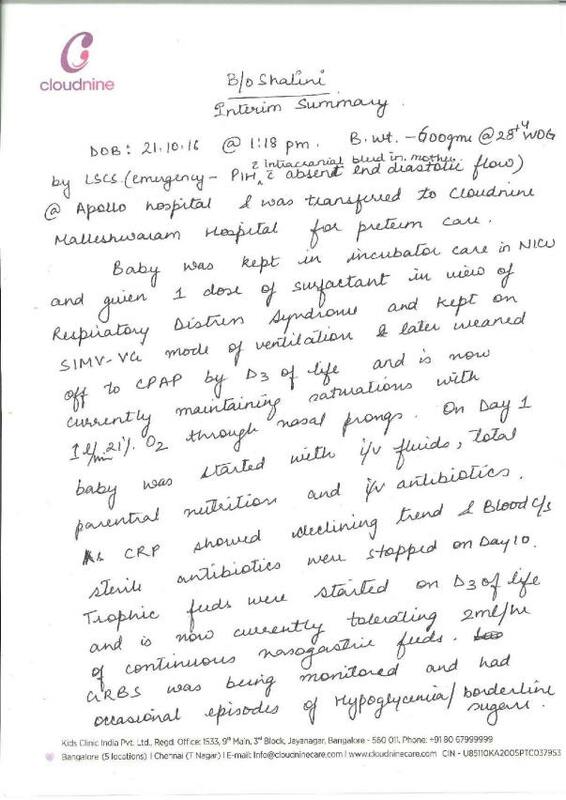 The baby boy was born at 28 weeks i.e 3 months early and also due to complexities at child birth the baby turned out to be severely under weight. 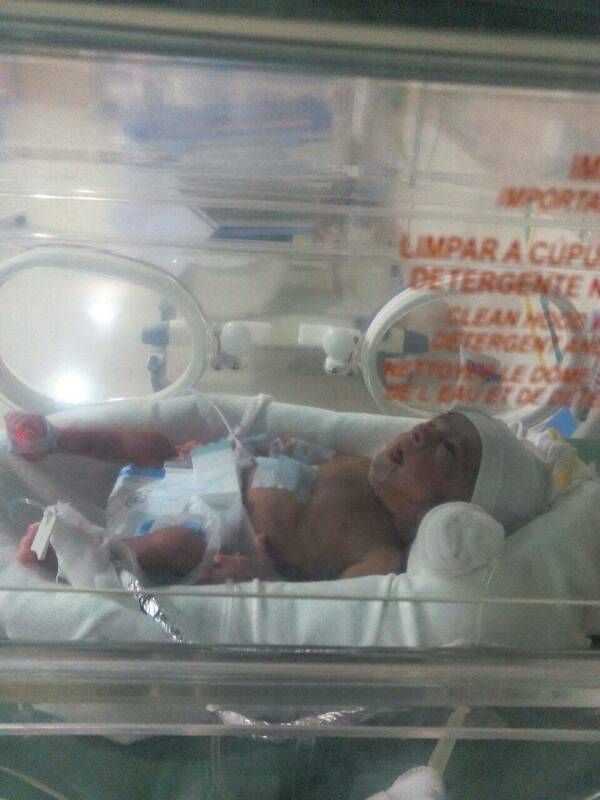 He weighed 600gms, after which he was immediately taken under ventilator care. It's been 12 days since and the baby's health has slowly progressed. He now weighs 740 gms. Ideally for a healthy baby to go home, he should weigh 1.4 to 1.6 kilos and an adequate level of brain activity. 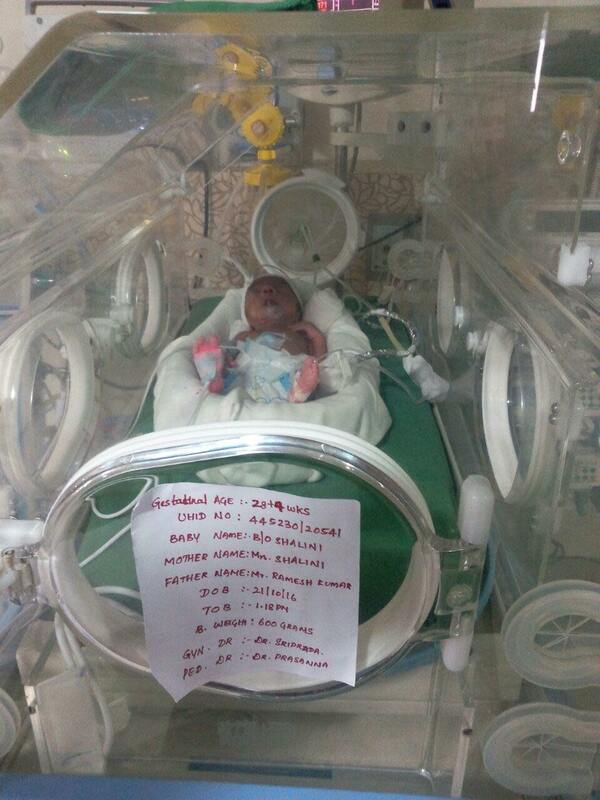 Although in Shalini's case, the baby is responding well to the intensive care but still needs to be on ventilator for another month in case of infection and needs a good amount of feeding. The Hospital and its team of doctors have provided the best possible priority care for this baby. They have generously waived off as much as fee as possible and have applied for discounted service charges too. Please help the family cope with this difficult situation. " It has been a difficult journey for the parents till now and is the last chance for the parents to see their only child live. 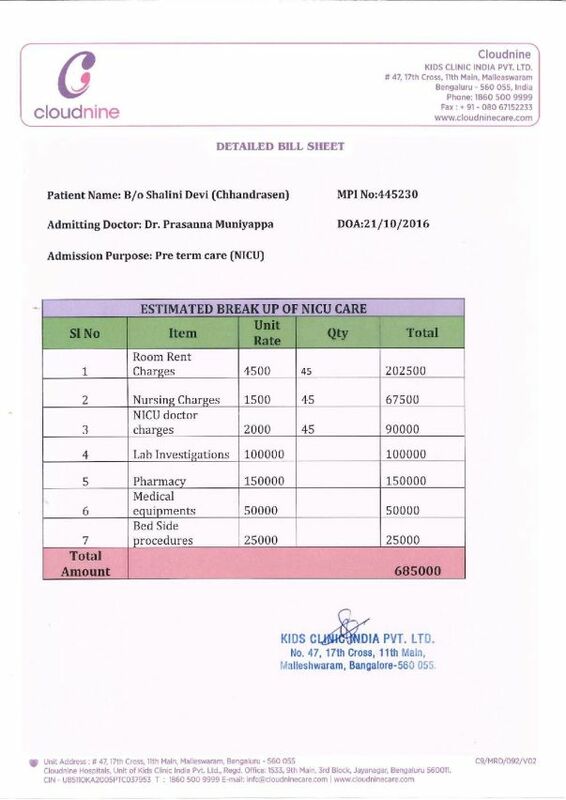 The neonatal intensive care would cost around Rs 6,85,000 and since they cannot afford it they are seeking help from you to see their only child live. It gives me immense happiness to post this update and share the news with everyone that made it possible for Shalini and her husband. Shalini's baby boy was finally shifted to the general ward on the 6th of January,2017 after which he was finally discharged on the 10th. They have named the boy Chandrasen :) . He is now 1.54 Kgs and is feeding well. Shalini is also doing well. 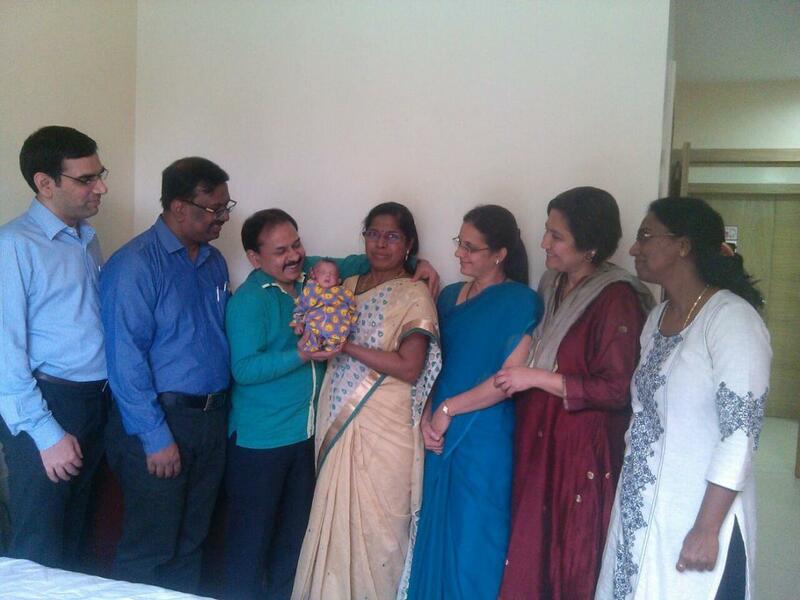 Here are few pictures of the baby with his parents and the whole staff (Doctors and Nurses) at Cloud Nine that took care of Chandrasen. This would not have been possible with out your prayers and generous contributions to Shalini's family. Thank you for helping them start a new life. 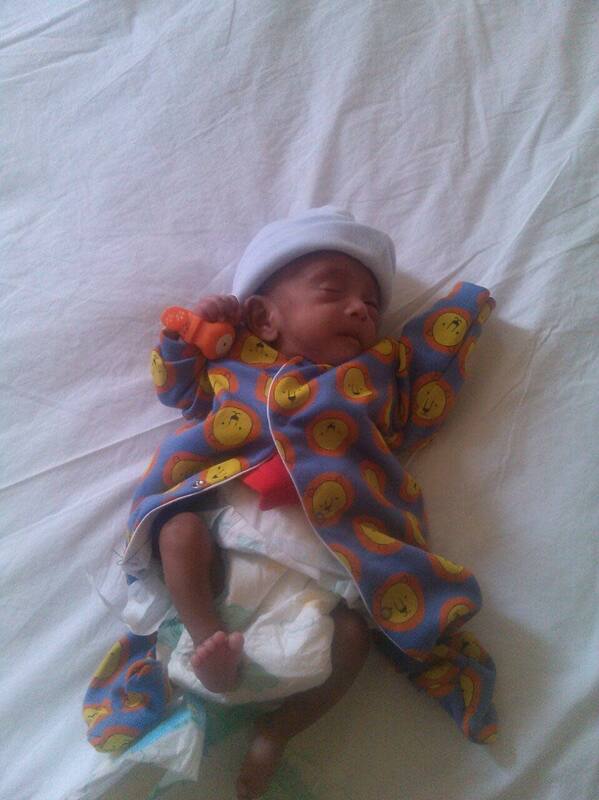 Shalini’s baby boy is now completely out of any major risks or infections. 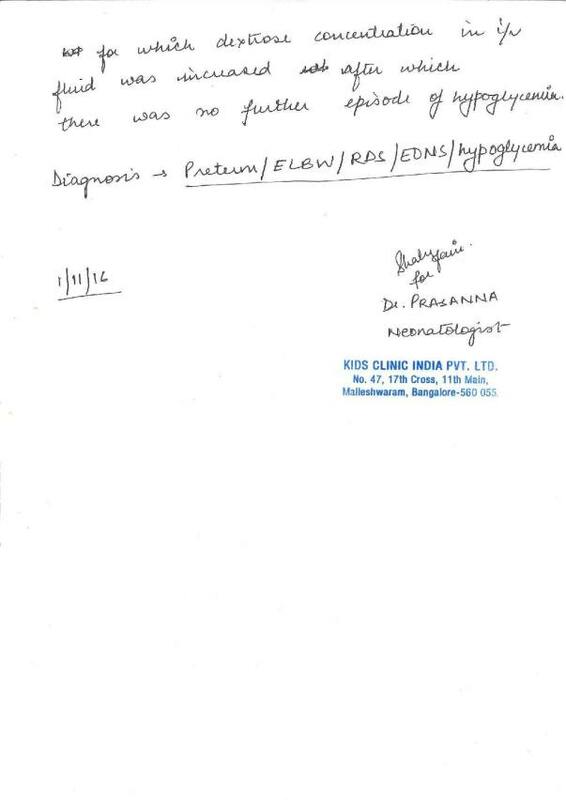 He has progressed drastically and no active medical issues have been observed. Learning to breast and bottle feed, but slightly gets breathlessness after that. He will be under continuous monitoring. He is now 1.4 Kgs. This a very positive sign for us to shift him to a normal ward in the coming week. His parents are grateful to each and every one of you for having this making this possible. 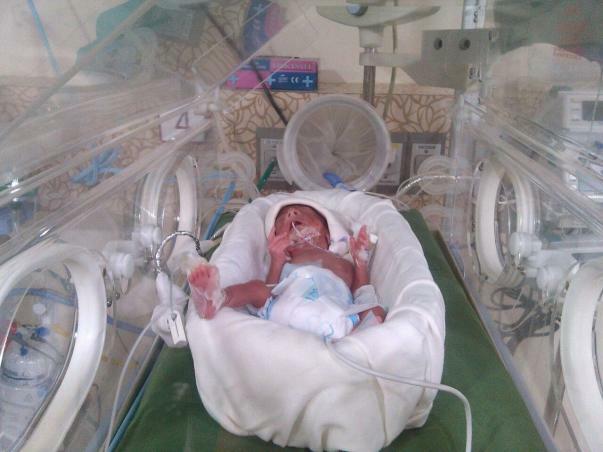 A heartfelt thank you to each and every supporter who made Shalini’s baby recover. 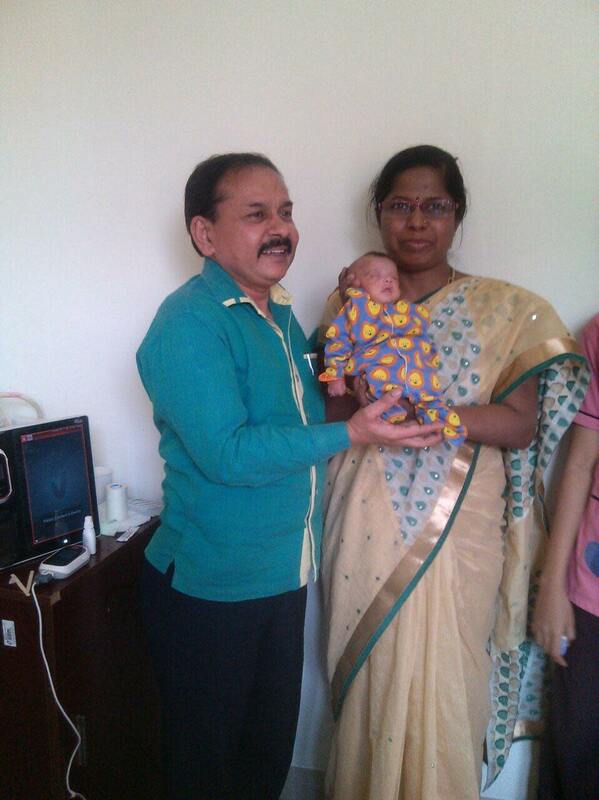 Thank you so much for all the blessings, with your help Shalini’s baby boy is slowly recovering from infection. Three days back he was shifted out of ventilator support. He is now nearly a month old and is doing well and is clinically stable. He should stay under observation for another month. The main challenge right now is with the feeding and we are trying to make him adopt to different feeding cycles.